We are excited to be headed back to Surf Expo September 7-9 and the Las Vegas Souvenir and Gift Show September 13-16! We’re coming back with renewed energy and focus on helping you Wear Your Memories™! 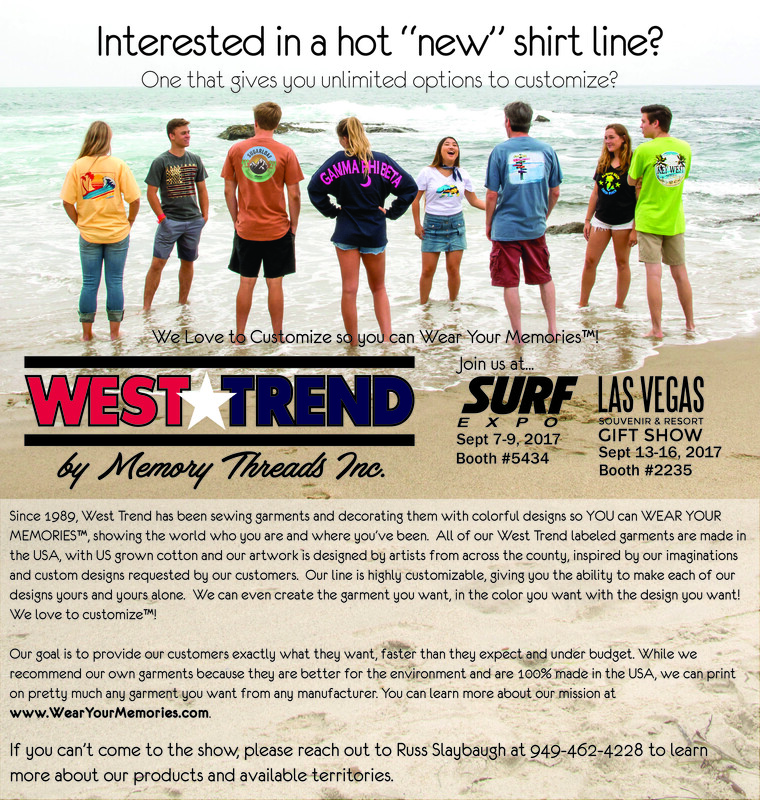 At Surf we’re in Booth #5434 and at Las Vegas Souvenir we’re in Booth #2235. We’re looking forward to working with our reps to help current and new customers and meet new reps for the territories we have available. Please stop by and say hello!